Just outside the lobby of the Mississippi Farm Bureau Federation headquarters hangs a plague marking the opening of the building more than 35 years ago. If you look closely, one name in particular may jump out. Malcolm Paul Howse served as not only an instrumental member of the committee to build the headquarters, but as a key member of the Mississippi Farm Bureau Federation for decades. For his service, Malcolm was posthumously selected as the 2018 Excellence in Leadership award winner. “And he’d shut down,” said Rick Howse, Malcolm’s youngest son. “He would shut it down, go in clean up and change clothes and he was coming to, he was going to be at the meetings regardless,” Michael continued. “He was here,” Rick added. Malcolm was a farmer, through and through, serving the Wayne County Farm Bureau, as well as the Mississippi Farm Bureau Federation. 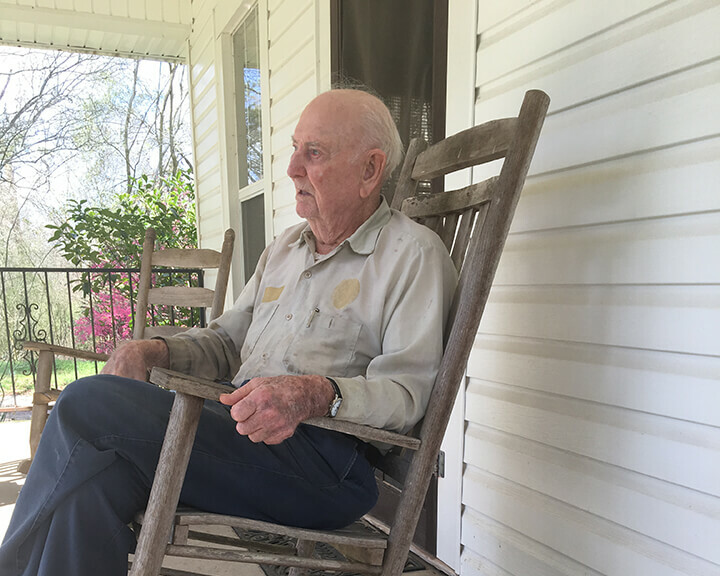 Born on property outside of Waynesboro, near the Winchester community, farming was all Malcolm ever wanted to do. Michael and Rick believe Malcolm learned the value of hard work through the act of farming during the Great Depression. Malcolm left high school early to enlist in the Army. He served in Europe during World War II then returned to the states where he trained soldiers for the Korean War. He also returned to a girl he had known most of his life, and married her on Christmas Eve, 1948. “My mother could actually – you could pick a stick up out here in a parking lot and give it to her and she could make it grow and bloom,” Michael said. Malcolm was proud to serve Farm Bureau, according to his sons. He served as the author of several instrumental Farm Bureau policies, like the country of origin policy for beef, fish and poultry. For those who knew him, Farm Bureau members who served with him, and his family who loved him, Malcolm was much more than a farmer. “The last year of his life when we finished that last garden, he told my little grandson, who’s six, he said, when you put these seeds in the ground something magical occurs, and I think his legacy would be plant a seed and watch it grow,” Rick said.